A new spin on the paleo diet—300 recipes for healthy meals to live both your vegan and paleo lifestyles. The paleo and vegan diets have been combined to form the ultimate healthy lifestyle, reinventing the way people eat. 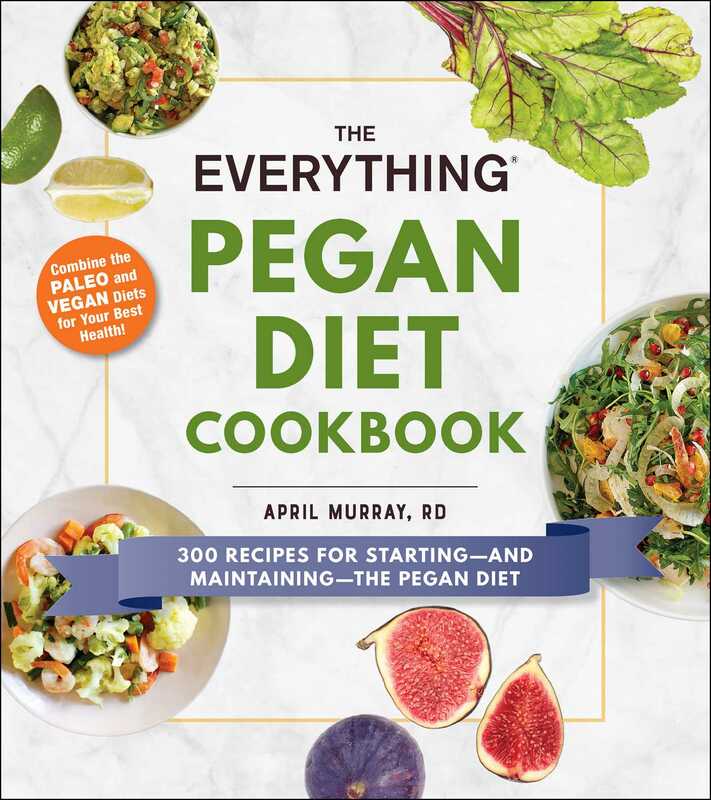 This “pegan” cookbook is the perfect blend of both popular diets for those looking for whole, fresh and sustainable food that is high in healthy fats and vitamins. The Everything Pegan Diet Cookbook presents delicious meals that meet both of these dietary criteria. With this book you’ll learn everything you need to know about the pegan diet, including how to combine paleo and vegan recipes to ensure that you’re getting all of the nutrients you need. This book includes recipes for all meals and cravings throughout the day from a filling cherry vanilla breakfast smoothie to a satisfying Mediterranean salad or a savory vegetable roast to a sweet chocolate hazelnut spread. By focusing on fruits and vegetables and healthy fats (nuts, seeds, avocados, etc. ), this plant-based, animal friendly diet will help you enjoy all your favorite dishes while staying healthy and living a sustainable lifestyle. Registered dietician April Murray ensures that all the recipes contain proper nutritional values, helping you stay on track with your goals to enjoy a healthier life overall. April Murray is a Registered Dietitian who practices and preaches that healthy food should taste good. When she's not in the kitchen, April is counseling clients at her private practice, OC Nutrition Coaching. She lives in Newport Beach, California, with her husband, Matt, and their miniature Australian Shepard, Lucy. Learn more at OCNutritionCoaching.com.